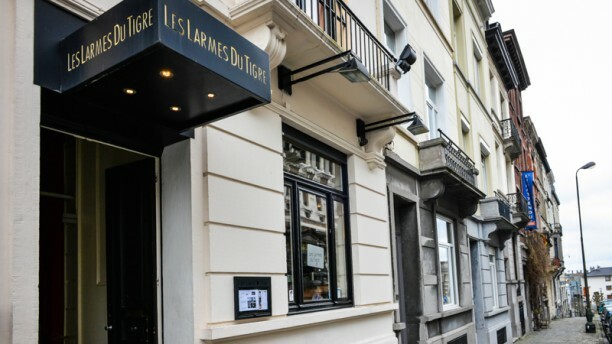 IN THE CENTRE OF BRUSSELS, the Thai restaurant "Les larmes du Tigre" sets the tradition at the service of the ambiance, charm and comfort of its guests. POETICAL, you’ll find in the menu names such as: The Ecstasy of mermaids, love triangles, fairy slippers, tiger tears... in addition of the classical dishes of the fine Thai cuisine. MENUS - The Sunday "Thai Buffets", the Tuesday "Thaïs Noodles Soups", the "Tiger‘s Thursdays" including an aperitif, an assortment of three starters, entremets, an assortment of three dishes, a dessert or thee or koffie , half a bottle of wine and water. Fenomenal service, friendly, decent price, very nice decor, really good Thai food. We have lived years in SE Asia: this is the real deal! We will go back many times. Very well decorated, nice and professional service, and very tasty food! Definitely worth a go! Give it a try, you'll love it! Excellent restaurant ! Service super ! A must to go ! The place is beautiful, the staff is very nice and the food is amazing. I didn’t add a 5th star because I ordered the wrong dish and didn’t enjoy it, but I tried the other ones at the table and were delicious! Efficace délicieux raffiné :) on reviendra ! First time here after recommendations and really enjoyed it, decor really good and authentic. The Food was Great as it has been over the years. Service was not so good but ok.